For 27 years the Wenzel family farm has opened its doors so that your family may visit the Fantasy Trail. The Fantasy Trail is over 1,000 feet of wooded walkway all decorated up for the Halloween and Christmas Season. 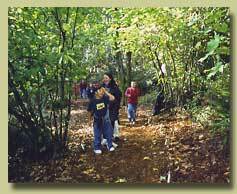 Take a Halloween walk through a lighted, wooded, Fantasy Trail, decorated with spooky sights and sounds. Or, how about a Christmas walk through thousands of lights and music for your holiday enchantment. 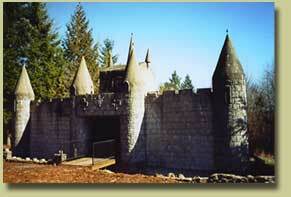 Experience our walk through 40 foot lighted castle with scenes, or our walk through tunnel, or maybe our suspension bridge, walk through maze, walk through crooked house, or just visit our pumpkin patch. However you celebrate your holidays, Fantasy Trail is the perfect family fun for "ALL AGES".